So you know that your tweets are awesome. You know that others will find them cool and that they will definitely benefit from them. But maybe you just can’t seem to get any traction. Only a handful actually share your tweets. Is there a proven way to encourage people to actually click that retweet button? Tweet links. His studies show that the chances of getting retweets are considerably higher when the tweet includes a link. Ask for retweets. This reminds me of “ask and ye shall receive”. Who would have thought that this Biblical concept can apply to Twitter? Oh, and make sure you spell out “retweet” rather than simply writing “RT”. According to Zarrella, doing the former results in 51% of retweets. Stop talking about yourself. I guess this is a no brainer. Believe it or not, not everyone is interested in what you ate for breakfast, or in how bored you are on a Friday night. Say new things. That is, newsworthy tweets get more retweets as compared to instructional, entertainment, opinion, product, and small talk tweets. Tweet about Twitter. He compared tweets about Facebook and Twitter. The latter got 300% retweets. I don’t know about you, but I think these tips are worth a try. After all, his entry got 983 tweets. What do you think? 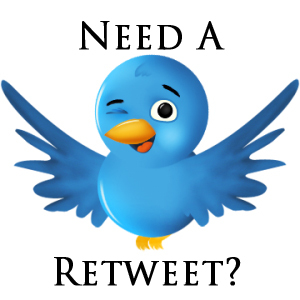 Or do you have your own tried and tested ways of ensuring that you get retweets?